Prof. Bharath V G has obtained BE degree in Mechanical Engineering and ME degree in Machine Design from Bangalore University. 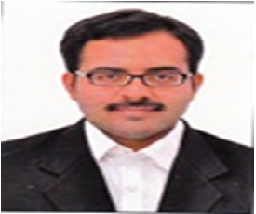 He has cleared GATE (2011, 2014) and is pursuing Ph.D. in ‘Virtual Reality and Virtual Manufacturing domains’. His area of research interests are virtual manufacturing, experimental stress analysis, fracture mechanics, design optimization and PLM. He has published several papers in reputed journals and presented many papers at National and International conferences.